—Alhaji Lai Muhammed, Minister for Information and Culture, while addressing the media on Monday, May 16, 2016. Since the Minister of State for Petroleum Resources, Dr. Ibe Kachikwu, announced the hike in the price of Premium Motor Spirit popularly known as petrol last Wednesday, May 11, Nigerians have been sharply divided on the increase. While some support the move, others have kicked against it. In the past few days, I have been on several radio and television programmes to offer my candid opinion on this controversial matter. While many Nigerians who called in saw reasons with me on why we needed to support this move by government, a few others disagreed with some even calling me a government paid agent. Well, I take it in my stride as one of the risks of being a public affairs analyst. In the last 26 years that I have been involved in media advocacy, I have written several articles on the conundrum being experienced in Nigeria’s oil and gas sector and how to resolve it. The issue is that successive governments have not demonstrated the political will to fix the problem; yet, it is the cash cow, the honey pot that feeds the Nigerian nation. However, what should be a commonwealth has been largely cornered by a few individuals for their own personal aggrandisement. I had previously supported the subsidy regime to enable the Nigerian masses to access fuel at affordable prices. I changed my mind at the point in time that I realised that it had been counter-productive to solving the problem in the downstream sector of oil and gas industry. What the subsidy regime has brought about are emergency billionaires who simply trade in allocation papers. They are licensed to import fuel, however, they either undersupply or fail to supply products at all, yet get to make subsidy claims on the government. They are able to do this because they work in cahoots with some unscrupulous bureaucrats in the regulatory agencies. People should endeavour to read previous probe reports either by the National Assembly or the Presidency. We have been paying trillions of naira yearly on subsidy claims yet petrol and kerosene are only sold at the official pump price at few city centres in places like Lagos and Abuja. What I found out was that some people who are licensed to lift fuel at the Nigerian National Petroleum Corporation depots do not have retail filling stations which ordinarily should be a requirement to be licensed. However, they are able to bribe the officials in charge of the allocation papers. These undesirable elements then simply sell the allocation papers to independent marketers who though have retail outlets but are denied allocation papers to lift fuel at the depots. These retailers having become a third party have to sell with a profit margin which then puts the cost above the official pump price. This is an open secret in the industry and is well-known to government. The regulatory agencies cannot do much to bring the culprits to book because some of their officials are part of the racket. We have also been reliably informed that because the price of fuel in Nigeria is about the cheapest in West Africa, this has made smuggling of the product to neighbouring countries attractive. It is true that the Nigerian Customs Service ought to check this illegal act. Unfortunately, some of the officers and men of the NCS are part of the smuggling cabal. Once their palms are greased by the smugglers, they look the other way. That apart, Nigeria’s international boundaries are porous. While speaking at the 2016 Comptroller-General of Immigration’s annual conference and stakeholders’ interactive forum in Lafia, Nasarawa State recently, the outgoing NIS Comptroller-General, Martin Abeshi, said there were 1,400 unmanned illegal entry points into the country. Smuggling of petroleum products could easily be done across any of these unmonitored entry routes. Another sharp practice common with petroleum marketer, be it independent or major marketers, is hoarding. They do this to create artificial scarcity and therefore force up the price. Fuel is an inelastic demand as there seems to be no substitute to it. 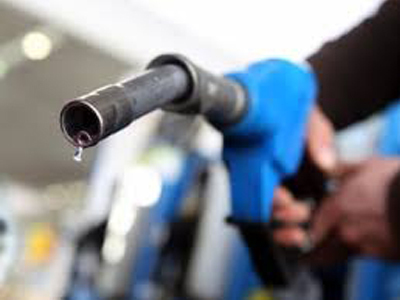 An NOI Polls conducted in the last week of April shows that 78 per cent of Nigerians buy petrol to power their generators, 58 per cent for cars, 28 per cent for motorcycles or tricycles and only five per cent for industrial use. What those figures tell us is that due to appalling state of electricity supply, Nigerians are compelled to buy fuel at any price to generate private electricity for their domestic and industrial use. Part of the challenge of fuel supply is the routine vandalism of petrol pipelines. In the last two weeks, a group that goes by the name, Niger Delta Avengers, has blown off some Chevron, Shell and NNPC oil pipelines. This has compounded the challenge of local supply of both crude and refined petroleum products. It is said that due to the recent acts of vandalism, Nigeria is currently unable to meet its estimated 2.2 million barrel per day in the 2016 budget. Sad, so pathetic! I will be too glad to buy fuel at N145 if the product will be readily available and I will not have to queue for hours on end as was the case when the product was sold at N86.50. I do not mind buying fuel at the new price if the savings government will be making will be channelled to fix our parlous infrastructure as well as provide some social safety nets for the suffering masses as promised. It is heartwarming that N500bn has been earmarked in this year’s budget for welfare services. According to a press statement issued last weekend by Mr. Laolu Akande, Senior Special Assistant to the Vice-President on Media and Publicity, about eight million Nigerians are targeted for welfare provisions in the 2016 budget. He listed them to include the payment of N5,000 monthly to one million extremely poor Nigerians for 12 months for which N68.7bn has been budgeted; soft loans for 1.76 million traders and artisans for which N140.3bn has been earmarked and payment of between N23,000 and N30,000 per month to 500,000 unemployed graduates who would be trained, paid and deployed to work as volunteer teachers, public health officers and extension service workers among other responsibilities. I think what some labour unions and civil society organisations kicking against the fuel hike should do is to monitor the implementation of these welfare programmes. Ultimately, the solution out of this protracted debacle in Nigeria’s oil and gas sector is the passage of the Petroleum Industry Bill, effective regulatory oversight, and incentivising the private sector investors to build and operate private refineries to complement the four moribund government owned ones in existence.